Back in March, we posted that we had started building nightly builds from mozilla-central/comm-central, but because the version of CentOS we had been using was too old, we were unable to continue providing Linux nightly builds. That has now changed and (as of today) we have both 32-bit and 64-bit Linux nightlies! Since this involved us installing a new operating system (CentOS 6.2) and tweaking some of the build configuration for Linux, please let us know if you see any issues! Additionally, some more up-to-date features that have been available in Mozilla Firefox for a while should now be available in Instantbird (e.g. dbus and pulse audio support) and even some minor bugs were fixed! Sorry that this took so long, but go grab your updated copy now! 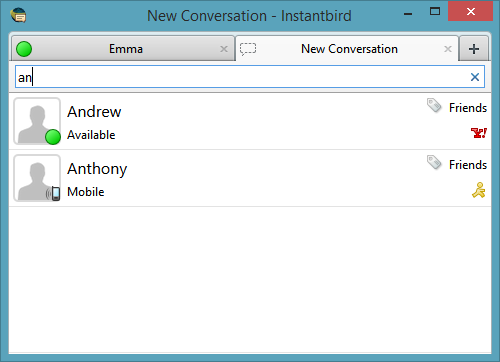 As of today, March 3rd, 2014, Instantbird nightly builds (1.6a1pre) are being built again. We last had nightly builds on January 9th, 2014 and they have been broken since due to a series of a large infrastructure change we’ve been going through to merge the Instantbird Bugzilla and code repository with Mozilla’s. Unfortunately, getting nightly builds working again took us longer than expected as it involved many related issues: updating Instantbird to work with newer versions of Mozilla, reconfiguring our buildbot and working on getting libpurple to build as an extension. 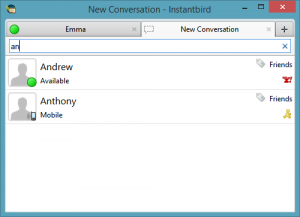 The results of this is that Instantbird is now building out of the “comm-central” code repository (the same place the code for Thunderbird is stored). What does this mean for you? Instantbird nightlies are now built using comm-central/mozilla-central: bugs fixed in Mozilla will be reflected in the next Instantbird nightly. 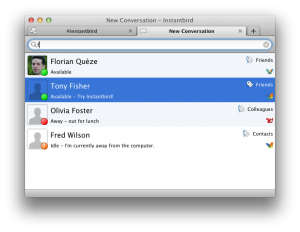 Instantbird 1.6a1pre is currently based on Mozilla 30, this is a bit of a jump from Instantbird 1.5 (Mozilla 25). There might be an influx of bugs as any issues caused by this jump are worked out. Please report any issues you see! 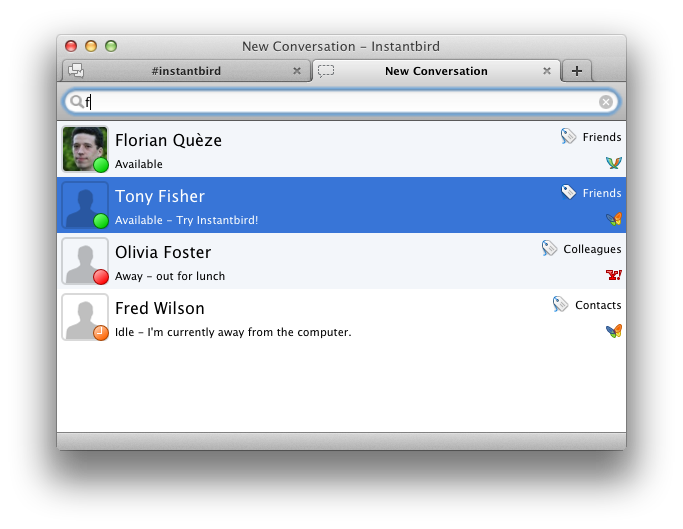 (Not entirely related) Bugs for Instantbird can now be reported on bugzilla.mozilla.org under the “Instantbird” and “Chat Core” (for bugs shared with Thunderbird Chat) products. Current nightly builds are located at on our ftp site, but automatic updating from older nightlies should still work. Again, sorry for any interruption. Regular development should be continuing now. Thanks for all the concerned emails telling us our builds had stopped! For the next few weeks the students are encouraged to bond with their community. All three have been active in recent weeks on our IRC channel (#instantbird on irc.mozilla.org), feel free to stop by and say hello! The Instantbird team looks forward to working with all of them during the summer. You can check out their blogs (linked to above) and back here for progress throughout the summer. We’d like to thank Mozilla for letting us apply to Google Summer of Code as part of them! You can see the other student projects Mozilla is mentoring on the Google Summer of Code site.